The small, waterfront city of Grosse Pointe sits on the coast of Lake St. Clair, near the northern mouth of the Detroit River. It is rife with upscale and historic neighborhoods and properties that date back to the 19th century. Some of the beautiful landscapes of these homes, both older and newer, owe their attractiveness to the care of Fert-Scape Inc.. Our company is proud to have established a foothold in this beautiful small city, and look forward to expanding our clientele for many years to come. In the days of the early settlement, Grosse Pointe was a combination of woods and swamplands, like much of the area surrounding Detroit. The still unincorporated community founded itself on hunting and agriculture. They would serve as food sources as well as trading goods. All of the original farms were built on the water, enabling easy access to drinking, watering, and transportation by canoe or boat. The area had already been called Grosse Pointe by the French before the United States took control of the territory in 1796. During the middle of the 19th century, the town transferred from an agricultural hub to a resort town. Its location off of Lake St. Clair made it ideal. Summer homes and cottages were constructed where farms once had been, and railways made their way through the town. Grosse Pointe was incorporated as a village in 1880, and its charter was subsequently changed to that of a city in 1934. As a village, Grosse Pointe still retained control over the now separated affluent town of Grosse Pointe Farms. Today, its legal borders cover just 2.25 square miles, over half of which is part of Lake St. Clair. Only 1.06 square miles of the city is land. It is very densely populated, with 5,421 residents reported as of the 2010 census. The city is mainly residential, and is known for having a wide variance of home sizes and properties, from mid-sized to mansion proportions. 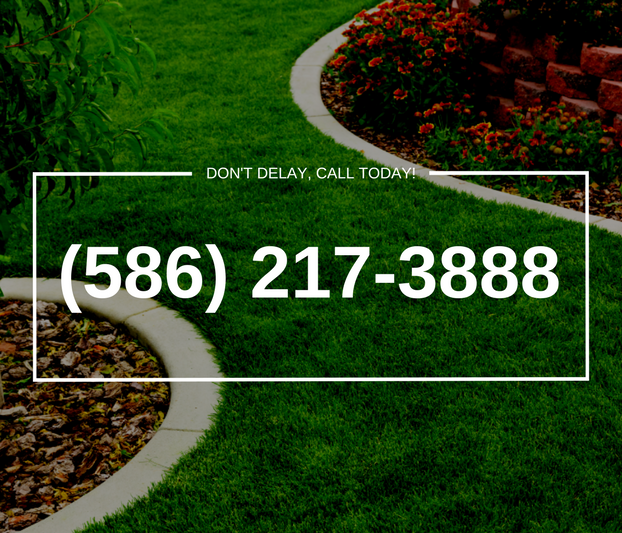 Regardless of the size of the property, however, every customer gets the same maximum effort when they call on Fert-Scape Inc. to maintain their outside. The public school district of Grosse Pointe, established in 1921, consists of nine elementary schools, three middle schools, and two high schools, as well as one early childhood facility. 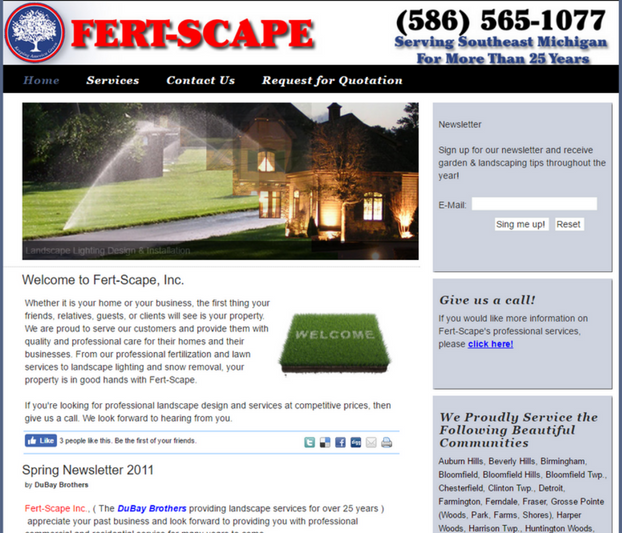 It services all the Grosse Pointe cities – Grosse Pointe, Grosse Pointe Farms, Grosse Pointe Park, Grosse Pointe Shores, and Grosse Pointe Woods. The downtown area of Grosse Pointe is commonly known as “The Village.” It consists mainly of retail and amenities such as restaurants and bars. Sections of the downtown have been redeveloped over the decades to accommodate the evolving preferences and availabilities of the market and community. A notable site of recreation in the city is Neff Park. It is the host of several events throughout the year such as the Daddy – Daughter dance, the Winter Fest, and Camp Norbert P. Neff, which occurs in August. It has certain restrictions to access, and is located on the water, containing a harbor and pier, pavilions for rental, volleyball courts, a children’s playground and picnic area. For those who do not wish to swim in the lake, the park also has an outdoor pool open from Memorial to Labor Day. It is also the headquarters of the Grosse Pointe Boat Club. The main sightseeing attractions in the city are the historic homes. The Ralph Harmon Booth House is the largest in the city, containing distinct English architecture. Some of the other notables are the John M. Dwyer House, the Waterman House, built in 1911, Rosecroft, and more.